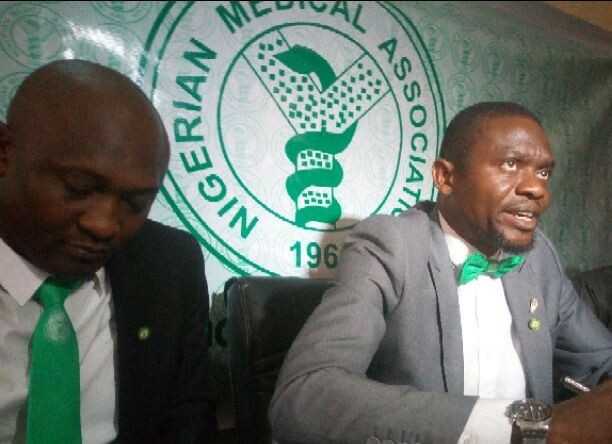 Nigerian Medical Association (NMA) Kaduna State branch on Tuesday lamented decline in immunization coverage in Nigeria with its attendant implications on the future of the country if nothing is done about it soon. The medical body said, the 2016/2017 National Immunization Coverage Survey (NICS) indicates that, only 33 percent of children between 12-23 months of age had 3 doses of pentavalent vaccine against the global target of 90 percent and only 23 percent were fully immunized. It however clarified that, the recent monkey pox scare did not has anything to do with low uptake of the vaccine but inadequate education and awareness. Addressing newsmen on the event of the 2017 annual physician’s week celebration at the state secretariat in Kaduna, NMA Chairman in the State, Dr. Shehu Abdulrahman noted that, the implication of the shocking revelation was that, many of Nigerian children particularly those under 5 years of age are unprotected making them prone to preventable diseases such as measles, diphtheria, pertusis, tetanus, hepatitis B among others. According to NMA, the scaring statistics is unacceptable to Nigerian doctors saying, the trend must be reversed as soon as possible in the interest of the potential leaders of tomorrow. He said, “the celebration of 2017 Physician’s week calls for sober reflection on the declining immunization coverage in our dear country. “The2016/2017 NICS indicates that only 33 percent of children 12-23 months of age had three doses of pentavalent vaccine against the global target of 90 percent and only 23 percent were fully immunized. 40 percent do not receive any vaccine from the health system with the year under review. “The NMA acknowledge the ongoing efforts by the federal government of Nigeria through the federal and state ministries of health, development partners such as WHO, UNICEF and a host of other stakeholders in providing vaccination services across the country but a lot still needed to be done. “Here in Kaduna, we had radio interaction and we shall continue to engage media on issues of immunizations and other topical health matters” he said.